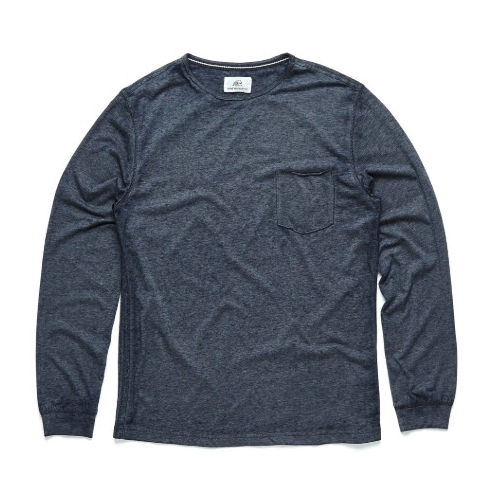 You will love this raw edge long sleeve t-shirt from Surfside Supply. Perfect with a pair of jeans, it has the perfect amount of attitude while being oh so comfortable to wear. Raw Edge On Chest Pocket Super Soft Cotton Polyester Fabric. Surfside Signature Patch Logo On Side. 65% Polyester 35% Cotton. Machine Wash Cold With Like Colors. Tumble Dry Low Heat.